Founded in 1875, Diforti originates in Caltanissetta, Sicily. Michele Diforti, the great-great-grandfather of the current owners, started his business collecting harvesting and preserving olives. That business was expanded by his son Luigi, who added vegetables and almonds to the range of products available…and then by HIS son Salvatore who expanded the business, sourcing products from all over Italy to distribute in restaurants, homes, delis and shops in Sicily. He opened three delis of his own too, in Strada Foglia, a food market in Caltanissetta. With nine children, he managed to build quite an empire and opened the first supermarket in Caltanissetta. 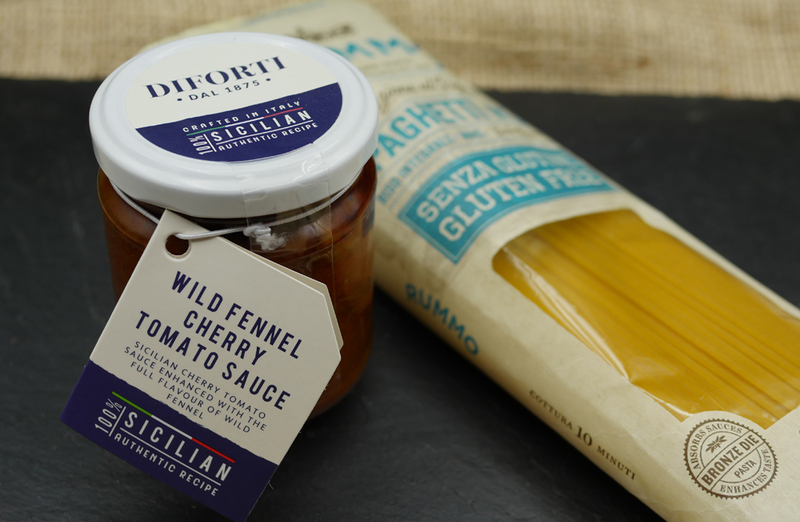 By 1981, Giuliano Diforti had taken over – he decided to enter the UK market – keeping production in Italy but bringing authentic Italian food to the UK. Then, in 2005, a new generation of the Diforti family took the reigns, current owners, Carlo, Andrea and Francesca. Today, you can buy Diforti products online from anywhere in the UK – and bring a little bit of Italy into your home! I have to confess I’ve tried some of the Diforti products before, but I’ve never had such a wonderful selection to play with. 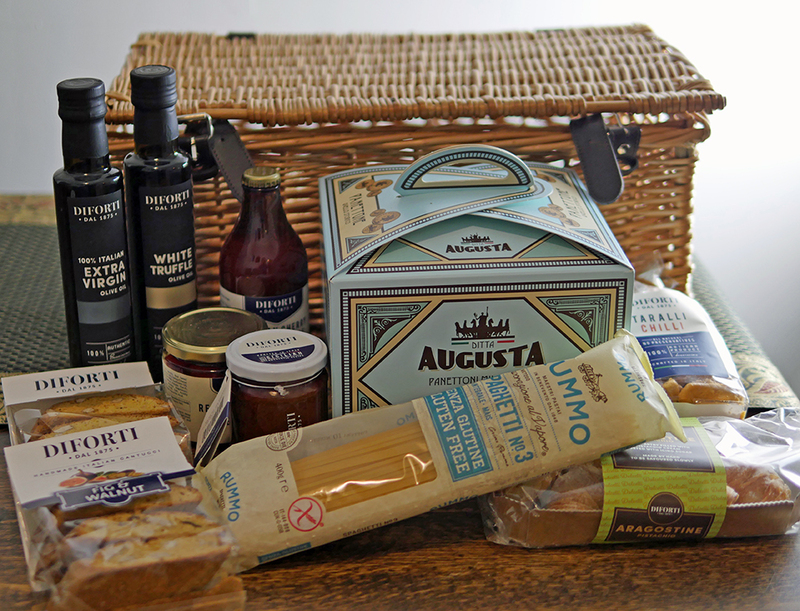 I’m really rather thrilled with the hamper that was sent to me which included a whole range of sweet and savoury treats. Panettone just in time for Christmas and pistachio aragostine (something like a fried pastry with a pistachio filling, classic almond cantucci and what seemed to me (yes I have eaten them already) to be very seasonal fig and walnut cantucci. There’s gluten-free spaghetti made with maize and a wonderful little jar of fennel and tomato sauce. Tarelli with chilli and sweet peppers stuffed with cheese and a bottle each of white truffle extra virgin olive oil and classic Italian extra virgin olive oil. I’m going to be cooking and playing around with some of the ingredients over the next few weeks. 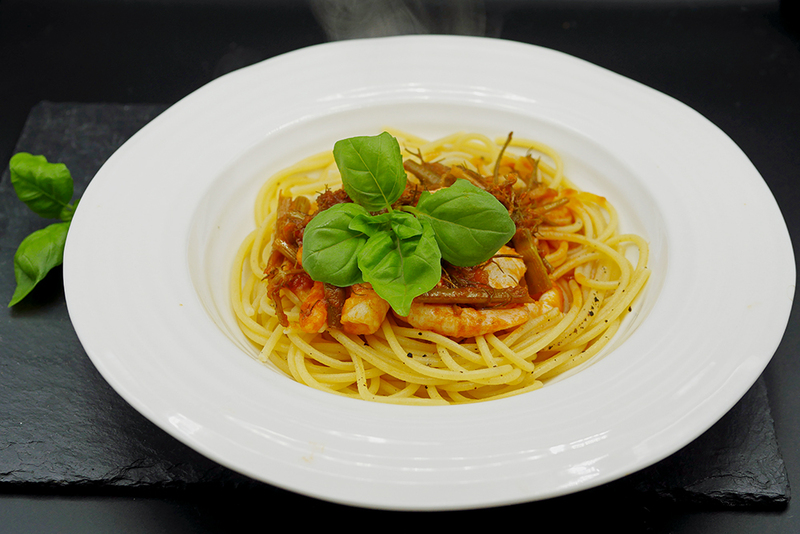 In the meanwhile, and partly because I was curious about the gluten-free spaghetti, I’ve already tried that, with the really rather delicious Cherry Tomato Sauce With Wild Fennel – a Sicilian cherry tomato sauce which is packed with wild fennel (the leafy sort, not the bulb). I put together the simplest of lunches by adding the sauce to some fresh prawns, fried in olive oil, and seasoned the whole thing with a little lemon juice and basil and some freshly ground black pepper and sea salt. 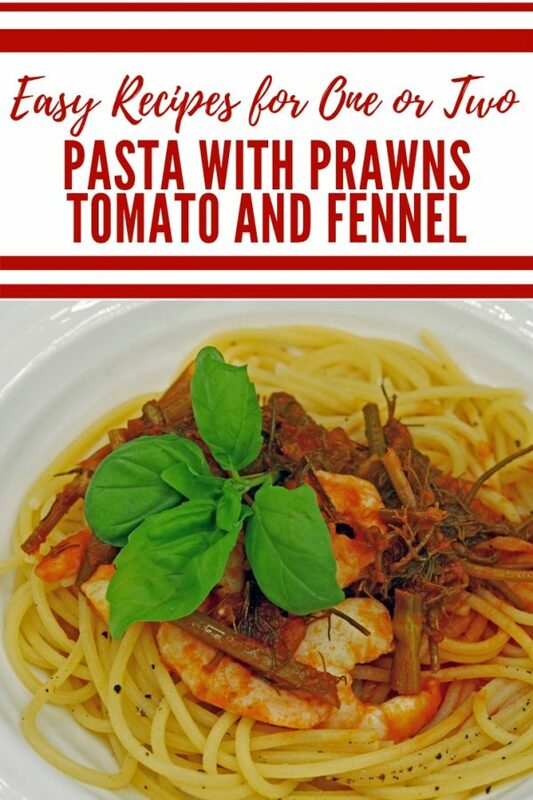 The aniseed notes of the wild fennel complemented the fresh prawns perfectly and I have a sneaking suspicion I’ll be buying more jars of this so I can make more of this pasta with prawns. Now when you see this kind of recipe you realise how useful it is to keep a few Diforti ingredients in your larder. The cherry tomato and fennel sauce is a real cut above my normal ‘open a can of tomatoes and add a splash of wine or a bit of chilli’ as I did in this. And, I’m pleased to say the gluten-free spaghetti was really perfect. If you’d like the chance to try for yourself, you can order online from the Diforti website. And, if you are feeling lucky, you can enter the giveaway to be in with a chance of winning a Christmas Hamper worth £40 for yourself. 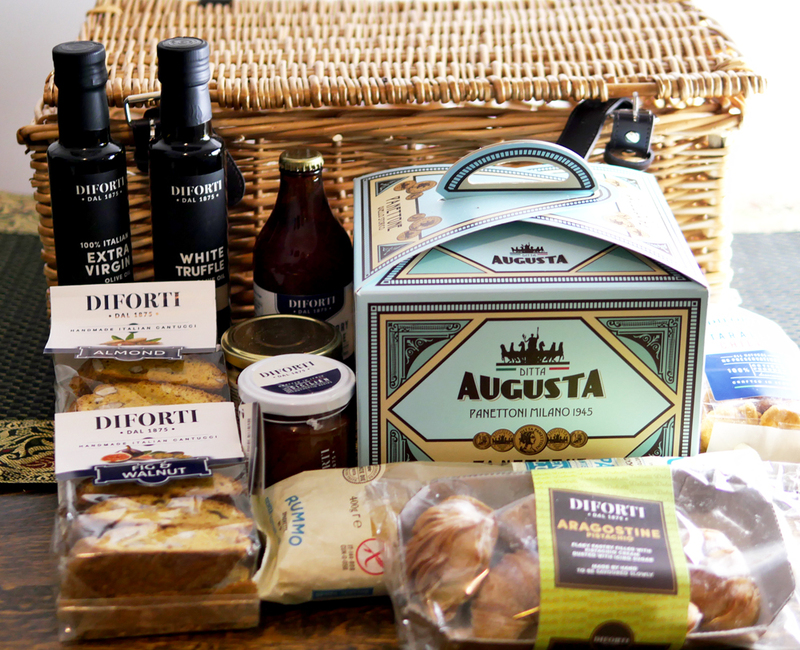 You’ll be sent a selection of lovely goodies including Tarelli with fennel, Diforti extra virgin olive oil, Panettone, Aragostine and more, all packed up in a neat hamper- all you need to do is pop over to the Diforti site and pick an Italian ingredient – then comment and let me know what you’d make with it. 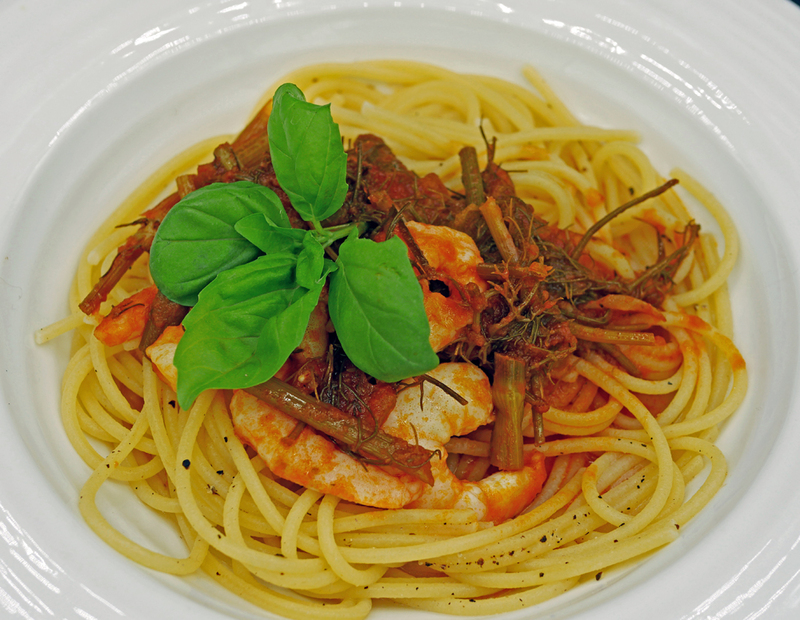 Looking for some more Italian recipes? Here are a few ideas for you. Or even truffled mushrooms with quail eggs. I would choose the Gluten-free vegan hamper and would make a vegetable and tofu pasta bake.